Boyapati Sreenu is undoubtedly one of the best mass helmers of Telugu cinema. With directors like VV Vinayak and Puri Jagannadh vanished, Boyapati has been carrying the legacy and is entertaining the masses. His recent outing Vinaya Vidheya Rama left the audience in shock and Boyapati is criticized for his bad work. He has been trolled across social media for the content in the second half of the film. Now with the drift with Charan and Danayya in Vinaya Vidheya Rama row, Boyapati will find it tough to convince and work with Mega heroes in the future. Industry circles reveal that Boyapati and NTR will never work together. Mahesh – Boyapati film is speculated from years but this seems to be a dream. Mahesh too is lined up with a bunch of films and their combo may not be possible soon. For top director like Boyapati, he may not step down and work with tire two actors restricting himself in many ways. 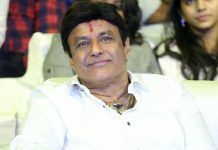 Nandamuri Balakrishna and Boyapati share a special bond and the duo is teaming up soon. Balakrishna who is not bothered about the film’s results is preparing himself for the project. Balakrishna and his project is the only hope for Boyapati. 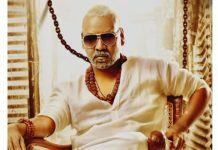 The mass director should bounce back with this project, else it will be real tough to find the lead actor for his next Telugu film.